Ride your pony up our straight gallop upsides a jockey! 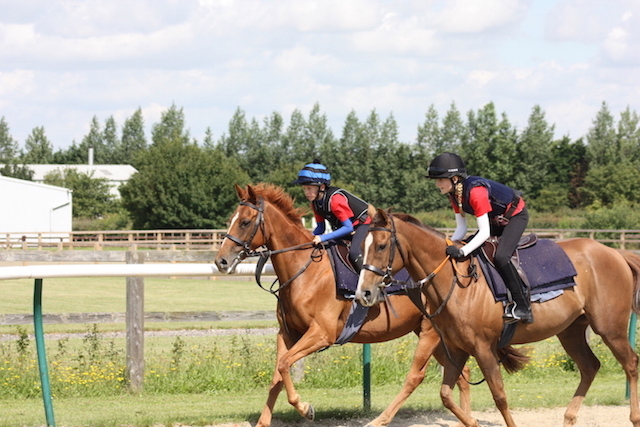 This course is for jockeys aged 11 to 15 years who are at least assessed as ready for Level 2 (you will need to have attended at least a Level 1 at The BRS or NRC equivalent to be eligible, and be assessed by an instructor as ready to move to Level 2). The fee covers the cost accommodation, tuition, meals, trips etc. To find out more information or for an application to attend The Pony Racing Camp with The British Racing School please contact Jackie Gill at Jackie.Gill@brs.org.uk or telephone 01638 665103.